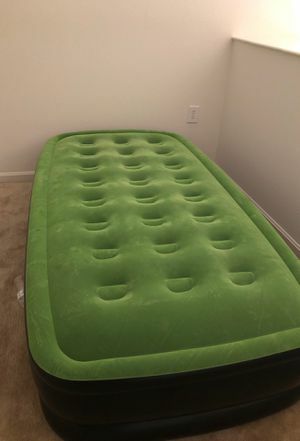 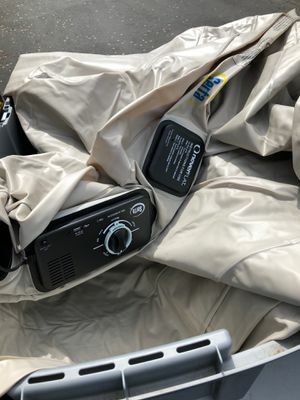 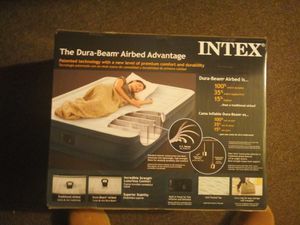 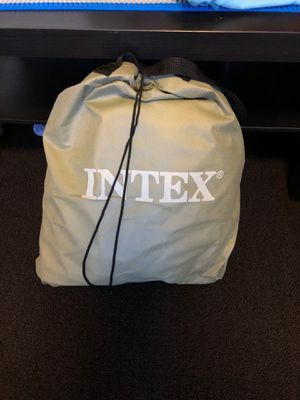 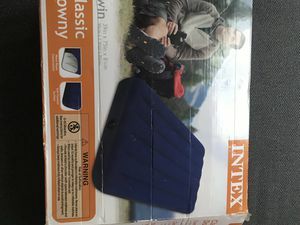 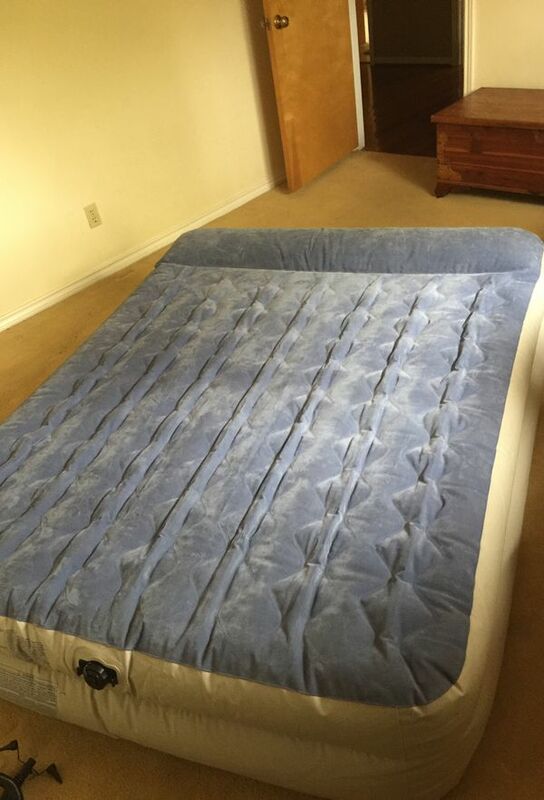 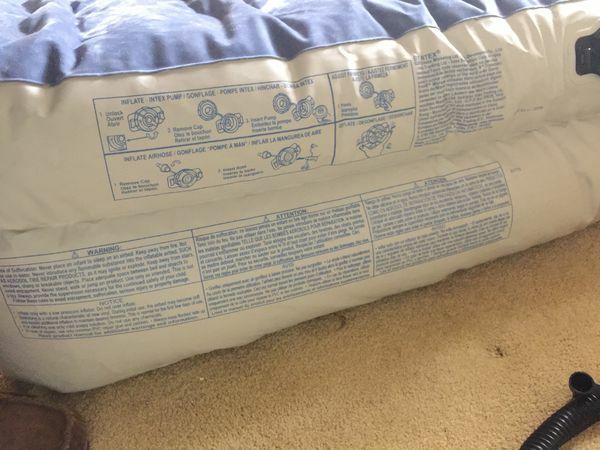 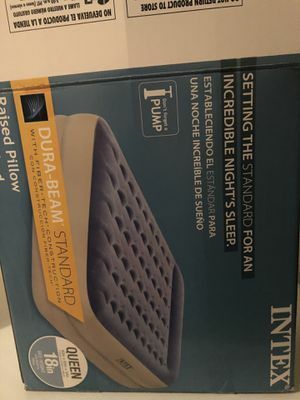 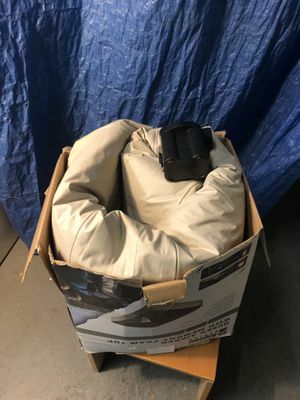 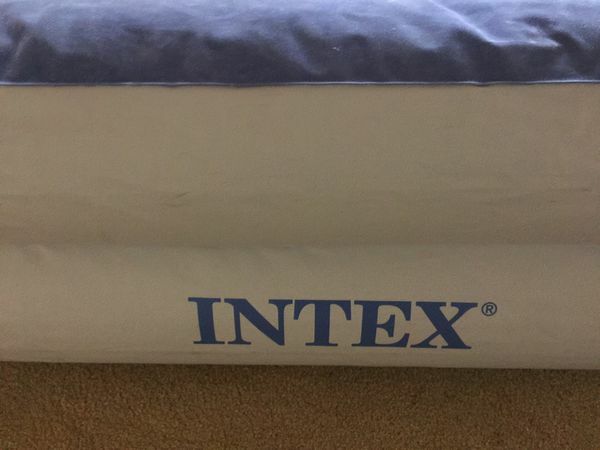 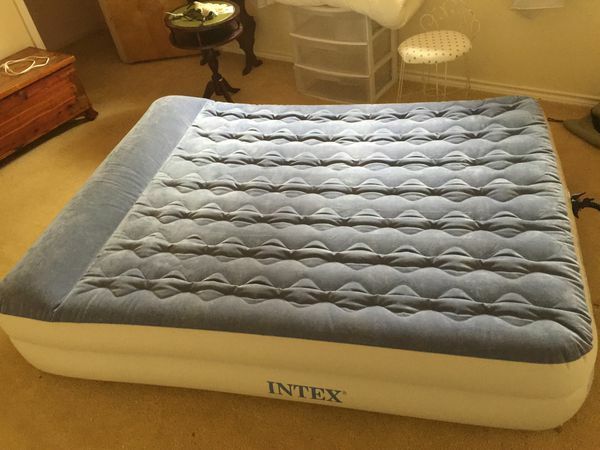 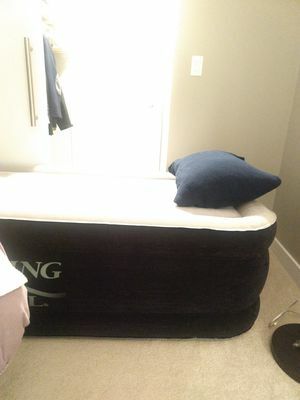 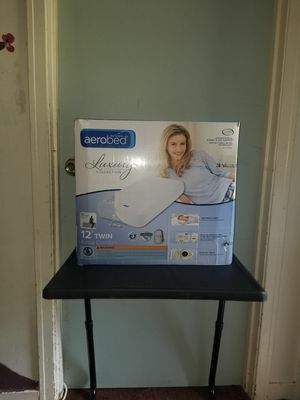 Intex Queen air mattress - double tall with velour top. 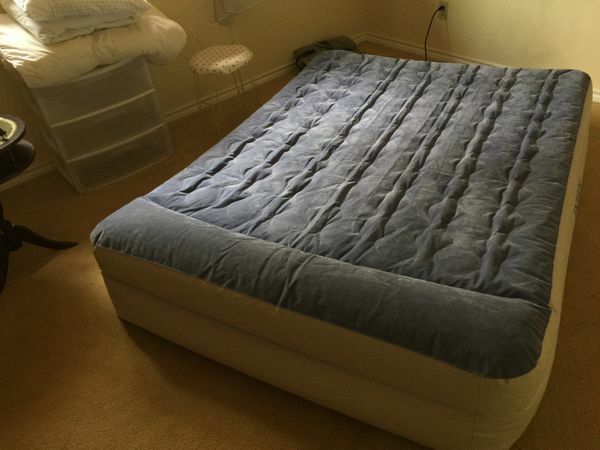 Excellent & comfy, but has a slow leak. 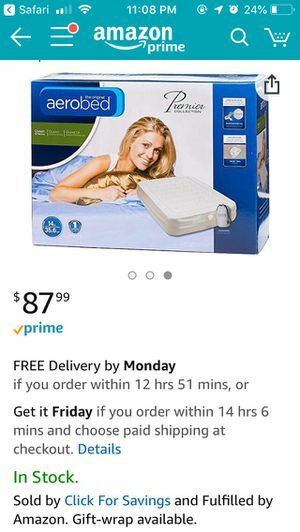 If you know how to repair, tremendous deal.